The Brazilian private equity fundraising sector has consolidated itself over the past decade and has shown significant growth since 2003, even compared with other BRIC countries. In addition to Brazil’s economic development over this period, such evolution can also be attributed to the improvement of the regulatory structures of our capital market, mainly regarding the main type of investment vehicle for the private equity segment, equity investment funds (FIPs). As a result of this evolution, the Brazilian Securities Commission (CVM) has been constantly concerned in regulating and updating specific rules for such funds, as per the issuance of CVM Instruction 578/16, on 30 August 2016, which replaced CVM Instruction 391/03 and modernised the rules regarding the formation, operation and management of private equity funds, as will be further explored. According to a study carried out by the Brazilian Private Equity and Venture Capital Association (ABVCAP),2 private equity industry’s historical committed volume of capital has grown steadily between 2011 and 2015, having reached the amount of US$46.3 billion3 in the year of 2015. Such upward trend paused in 2016, when the industry’s historical committed volume of capital was reduced to US$43.2 billion,4 especially because of the political and economic instability, which caused tax increases, exchange rates variations and the closing of funds, and, therefore, kept investors uncertain about committing capital in Brazil. In addition, in 2016, the Brazilian Federal Police conducted an important investigation on fraudulent investments made by the four largest pension funds in Brazil using FIPs as vehicles of investment. Recently, Archy LLC, an affiliate of the Singapore’s sovereign wealth fund, GIC, has entered into an agreement to acquire a 25 per cent stake in the corporate capital of Algar Telecom SA, a publicly held company.11 In the beginning of 2017, GIC has committed to acquire12 an approximately 37 per cent stake in the Brazilian education company Cruzeiro do Sul from Actis. These investments demonstrate the interest of foreign players in Brazil. In the first semester of 2017, ABVCAP coordinated a research project with private equity and venture capital foreign and local investors concerning the challenges and opportunities for investments in Brazil.16 According to this research, 39 per cent of foreign investors intend to increase the allocation of private equity or venture capital in Brazil in the next three years, while 38 per cent of them intend to keep their current investments’ allocation. They attribute the leading factors to invest in the Brazilian market to portfolio diversification, qualified managers and a better risk-return relationship if compared with developed markets. This scenario means greater demand from foreign funds and banks for local portfolio managers, which have better knowledge of the internal market and hence greater capacity to identify the best investment opportunities. According to the ranking by the Brazilian Association of Financial and Capital Market Entities (ANBIMA), the portfolio managers responsible for most of the assets until November 201717 were BB DTVM SA, Bradesco and Itaú Unibanco SA. For 2018, specialists forecast that after a period of recession caused by political scandals and economic crisis, the Brazilian market will start a slow recovery. Naturally, because of the presidential elections to be carried out at the end of 2018, the political uncertainty may threaten investors’ confidence in the Brazilian market. However, we believe that the market is still promising for local and global players, especially because of the devaluation of the real against the dollar and the material demand for investment into several sectors of the economy, including infrastructure, energy, services, technology and internet, healthcare and medical devices, education and agribusiness. To understand the fundraising industry in Brazil, it is first necessary to analyse the offshore structures adopted by local and foreign players before entering into a specific analysis. The main offshore vehicles and jurisdictions used for fundraising are legal entities incorporated as holding companies in Luxembourg and Amsterdam, foreign securities holding entities in Spain and limited liability companies (LLCs) in Delaware, United States. The above-mentioned countries stand out for investments in Brazil, and in most cases such investments are made directly into Brazilian companies or FIPs. Even though FIPs are the main vehicle for investment in the industry, certain players do not use them, which at times makes it difficult to estimate the exact volume of funds raised for private equity investments in Brazil. In any event, FIPs are also a solid alternative for investors, to the extent they allow investments in public or private companies, as well as being a flexible vehicle when compared to other types of investment funds in Brazil. The FIP is closed-ended (i.e., it does not allow for the redemption of its shares, except in the event of liquidation of the fund), and directs its funds to the purchase of shares, subscription warrants, non-convertible debentures,19 or other securities convertible into or exchangeable for shares of public or private companies, as well as titles and securities representing equity participation in limited liability companies, being required to maintain, at least, 90 per cent of its resources invested in such assets. FIPs do not have separate legal personality, so the terms of the Brazilian Law of Corporations (Law 6,404/76, as amended) are not applicable to them. They are instead subject to the terms of the Civil Code and specific rules issued by the CVM. Hence, the FIP is an asset held by a pool of owners, where such owners hold a portion (shares) of the total assets. It is important to mention that, on 30 August 2016, a new CVM Instruction 578/16, which is already in force,20 was enacted replacing the CVM Instruction 391/03 and creating new rules concerning the formation, operation and management of FIPs. Furthermore, on the same date, CVM Instruction 579/16 was issued creating new rules for the provision of financial statements of FIPs, outlining the accounting methods for the classification of assets and liabilities. As regards the funds management, the current legislation requires that fund administrators be Brazilian legal entities authorised by the CVM to carry out the professional services of securities portfolio administration. The administration of a FIP comprises all of the services directly or indirectly related to its representation, operation and maintenance, such as portfolio management; investment advising; treasury and share processing control activities; placement of shares; and bookkeeping of the issuance and redemption of shares. According to the CVM Instruction 578/16, the FIP’s administrator may also engage, on behalf of the fund, third parties to render the following services: (1) the FIP’s portfolio management; (2) investment advising; (3) treasury activities; (4) assets processing control activities; (5) placement of shares; (6) bookkeeping of issuance and redemption of shares; (7) custody of financial assets; and (8) market maker for the FIP’s shares. It is also worth mentioning that the CVM Instruction 578/16 establishes that, in case the FIP’s administrator hires third parties to render the services of treasury, activities of controlling and processing of portfolio assets or bookkeeping of the issuance or redemption of shares, the services agreement shall contain a provision establishing that the FIP’s administrator and the respective third party are jointly liable for eventual damages caused to the FIP’s shareholders due to the violation of any law, the FIP’s by-laws or CVM rulings. In addition, without prejudice to the above-mentioned, the FIP’s administrators and any other service providers hired, are liable, before the CVM and in accordance with the respective attribution, for the violation of any law, applicable rulings or the fund’s by-laws. 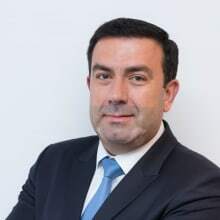 Such CVM Instruction has also increased the duties and obligations of the portfolio management related to the hiring of services of investment or divestiture, as well as the role of the portfolio management on the pricing of the FIPs investments. In this regard, according to the CVM Instruction 578/16, the portfolio manager has powers to represent the FIP in certain acts such as (1) negotiation and hiring, on behalf of the fund, of the assets and agents to conduct the FIP’s transactions; (2) to negotiate and hire third parties for the rendering of services of advising and consulting directly related to the investment and divestiture of the fund, as established in the FIP’s investment policy; and (3) to monitor the assets of the FIP and to exercise the voting right related to such assets, subject to the voting policy established by the portfolio manager. In the absence of a specific provision in the FIP’s by-laws or in the agreements entered into by the FIP’s administrator and portfolio manager, the latter shall send to the administrator, within five days, the copies of all documents executed on behalf of the FIP. b fiduciary administrator: legal entities that are authorised to carry out all activities directly or indirectly related to the functioning and maintenance of the securities portfolio, including the custody, controlling of assets and debts, and, in general, the supervision of the management. The CVM Instruction mentioned above also establishes the possibility of a legal entity that is not a financial institution to require the registration as fiduciary administrator, as long as it complies with some requirements established by CVM. In addition, CVM Instruction 558/15, as amended by CVM Instruction 593/17, establishes, as a requirement for the granting, to a legal entity, of registration of securities portfolio administration, that such entity appoints a compliance officer responsible for the implementation of the rules set forth by the CVM Instruction 558/15, as well as the procedures, policies and internal controls of the funds, and, specifically for the category of portfolio manager, that the entity also appoints an officer responsible for the risk management (the compliance officer has the possibility to take on this duty as well). Finally, it is also important to mention that upon the enactment of CVM Instruction 558/15, the securities portfolio administrator that is a legal entity is authorised to carry out the placement of shares issued by the investment funds that are managed by such entity, even if the latter is not a financial institution, and upon the compliance with some requirements established by the CVM. The FIP’s administrator must disclose to all its investors, in the form established in the FIP’s by-laws, and through the CVM’s system of provision of documents, as well as to the organised market management entities where the FIP’s shares are placed, any material act or fact related to the fund or to the assets that comprise the FIP’s portfolio, except if the fund’s administrator understands that the disclosure of the information threatens the interests of the fund or of its invested companies. in case of an administrator that is a legal entity, to establish the policy related to the negotiation of securities by officers, employees, collaborators, controlling partners, and by the company itself. The recently enacted CVM Instruction 593/17, has also included a new provision to CVM Instruction 558/15 establishing that the rendering of services of securities portfolio administration, by means of using automated systems or algorithms, is subject to the obligations and rules established in CVM Instruction 558/15, as amended by CVM Instruction 593/17, and does not mitigate the portfolio administrator’s liabilities. In addition, the source code of the automated system or algorithm shall be available for CVM inspection in the company’s headquarters, in a non-compiled version. FIPs are required to take part in the decision-making process of the investee companies, exerting influence on the definition of their strategic policies and management. Such participation may also be carried out by holding shares that are a part of the corresponding controlling block; entering into shareholder agreements; or entering into similar agreements or adopting procedures that guarantee the fund’s influence in the definition of the strategic policies and management of the investee companies, including by means of appointment of members of the board of directors. The requirement of participation of the FIP in the decision-making process of the investee companies does not apply if (1) the investment by the FIP in the investee company is reduced to less than half of the percentage originally invested and, as a result, represents an amount lower than 15 per cent of the capital of the investee company; or (2) the book value of the investment is reduced to zero and is approved by a shareholders’ resolution by the majority of shareholders’ present at the meeting, in case a higher quorum is not established in the FIP’s by-laws. As regards the requirement of exerting influence on the definition of the strategic policies and management of the investee companies, it does not apply to the investment in companies listed in special trading segments created by stock exchanges or over-the-counter market, destined to access market, which ensures, by means of contractual relation, corporate governance standards stricter than those required by law, provided that such investment corresponds to up to 35 per cent28 of the FIP’s subscribed capital. an annual audit of its financial statements by an independent auditor registered with the CVM. Each category of FIP as described above shall be allowed its own investment policy. The seed capital and the emerging companies FIPs, for instance, are now allowed to invest in limited liability companies, which was a significant change brought by CVM Instruction 578/16 if compared to CVM Instruction 391/03 and represents an important step for the development of new investments in Brazil, facilitating the funding of early-stage companies. The corporations or limited liability companies that comprise the portfolio of seed capital FIPs shall have an annual gross revenue of up to 16 million Brazilian reais as accrued in the fiscal year ended prior to the first payment of the fund, and shall not have presented a revenue greater than such limit in the past three fiscal years. Such corporations and limited liability companies are exempt from the compliance with the corporate governance requirements set forth in CVM Instruction 578/16 (and expressly mentioned in Section II.iii, supra), including from the obligation of providing independent auditing of such companies; however, in case of an increase of the annual gross revenues of the invested companies in such a way that it supersedes the above-mentioned limit, the CVM Instruction 578/16 establishes certain transition rules related to the compliance by such category of FIP with corporate governance requirements. In addition, and among other rules, such corporations or limited liability companies shall not be controlled, directly or indirectly, by a company or group of companies that has total assets in an amount greater than 80 million reais or annual gross revenue higher than 100 million reais in the end of the fiscal year immediately prior to the first payment of the fund. Another important development brought by CVM Instruction 578/16 is that all FIPs can now invest up to 20 per cent of the subscribed capital abroad, as long as the foreign assets have the same economic nature of the assets that may be part of a FIP’s portfolio in Brazil, as described in Article 5 of CVM Instruction 578/16.30 Multi-strategy FIPs are allowed to combine investments across several categories and the Multi-strategy FIPs exclusively destined to professional investors, may invest up to 100 per cent of their subscribed capital abroad, provided that the by-laws of such FIPs expressly include the possibility of investment in assets abroad as well as the respective percentage of such investment; the by-laws of such FIPs expressly sets forth the exclusive participation of professional investors; and the term ‘investment in foreign assets’ is expressly mentioned in the FIP’s name. As regards the emerging companies FIPs,31 they may invest in corporations and limited liability companies with an annual gross revenue of up to 300 million reais as accrued in the fiscal year ending prior to the first payment of the fund, and shall not have presented a revenue greater than such limit in the past three fiscal years, and the invested companies are exempt from compliance with some of corporate governance requirements set forth in CVM Instruction 578/16 (discussed in Section II.iii, supra). However, if gross revenue is increased in such a way that it supersedes the above-mentioned limit, some transition rules set forth in CVM Instruction 578/16 shall be complied with. The Infrastructure FIPs (FIP-IE) and Intensive Economic Production in Research Development and Innovation FIPs (FIP-PD&I) are not permitted to invest in limited liability companies and are restricted to investments in shares, subscription warrants, debentures (convertible or non-convertible into shares) or other securities issued by public or private corporations with investments in infrastructure projects or intensive economic production in research, development and innovation in Brazil in the energy, transport, water and basic sanitation, irrigation sectors, among other areas deemed as priorities by the federal government. Such categories of FIPs shall have at least five quotaholders, provided that none of them may hold more than 40 per cent of the shares issued by the FIP or earn an amount greater than 40 per cent of the FIPs revenue. Among the developments brought by CVM Instruction 578/16, it is also important to mention that FIPs are now allowed to advance funds for future capital increases of an invested company, whether private or public corporations, as long as (1) the FIP holds shares of the invested company as of the date of the anticipation of funds; (2) such possibility is expressly set forth in the FIP’s by-laws, including the limit of the subscribed capital that may be subject to the anticipation of funds; (3) the anticipation of funds is irrevocable and the anticipated funds shall be converted into capital; and (4) the advanced funds are converted into capital increase of the invested company within 12 months. Pursuant to Article 19, Paragraph 3 of Law 6,385/76 (the Brazilian Securities Market Law), a public offering is one that is carried out by means of the use of sale or subscription lists or bulletins, flyers, prospectuses or advertisements aimed at the public; where the search for subscribers or purchasers is carried out by means of employees, agents or brokers; and where the negotiation is conducted in a store, office or venue open to the general public, or by means of public communication services. In addition to the terms of the Brazilian Securities Market Law and CVM Instruction 400/03, as recently amended by CVM Instruction 584/17 and CVM Instruction 588/17, which sets forth the objective requirements for an offering to be considered public, it is also necessary to observe subjective requirements that relate to the characteristics of the investors to which the offer is being made. Information on the recipients of the offer and the availability of information on the fund and the securities issued are characteristics that must be observed for an offering to be defined as being public. Regarding information on the recipients, their degree of sophistication as investors must be analysed in order to verify that they possess enough knowledge and experience in financial and business issues and are able to assess the risks and merit of the investment. In relation to the availability of information on the fund and the shares issued, it must be shown that the target party had access to the information that the fund would have presented when registering the offering, so as to allow full evaluation of the risks. The application for registration of the public offering shall be made by the FIP to the CVM together with the intermediary financial institution. Such request shall be accompanied by the documents and information required under CVM Instruction 400/03, so as to allow full disclosure of the information on the offering, such as characteristics, volume and price of the offered shares, and the method and place of issuance. Among these documents is the prospectus, set forth under Article 38 of CVM Instruction 400/03, which is the main informative document to be presented by the fund. The prospectus must contain full information on the offering; the shares subject to the offering and the rights inherent therein; the offering party; the issuing fund and its economic and financial situation; third-party guarantors of obligations related to the shares being offered; and the types of companies that may receive the funds raised by the offering. In this context, it is important to highlight that upon the enactment of CVM Instruction 578/16, CVM has clarified an understanding that had already been adopted by Brazilian FIPs: the issuance of shares destined to the shareholders of the FIP is not considered a public offering, as long as the shares issued by the FIP are not admitted for trading in organised markets and the shares not placed for the shareholders are automatically cancelled. The CVM also provides, by means of Instruction 476/09, for a different kind of public offering called a ‘public offering distributed with restricted efforts’. This type of offering is not subject to the registration rules set forth by CVM Instruction 400/03. The offerings under the terms of this instruction may have as targets, among other securities, closed investment fund shares (such as FIPs) and may only be directed to professional investors, as defined in specific regulation. Furthermore, for a public offering to be considered an offering with restricted efforts, it is also necessary that the number of investors pursued is limited to 75 professional investors (which definition was already mentioned herein), and that the securities are subscribed or acquired by no more than 50 of those targeted investors.34 This is the Brazilian version of the American private placement, when an offer is made directly to qualified investors with no purchase efforts being made to the public in general. With the enactment of CVM Instruction 551/14, the CVM has increased the list of securities that may be distributed with restricted efforts, which now includes, inter alia, the following securities: certificates of structured transactions, shares, debentures convertible into or exchangeable for shares and subscription warrants issued by certain companies. This measure aims to meet a proposal by some capital market entities to facilitate small and medium-sized companies’ access to capital markets funding. Another important characteristic of FIPs is that they are allowed, upon approval of a qualified majority of the investors, to post sureties, guarantees, acceptance, co-obligations or in rem guarantees (collaterals). Such provision was initially included in CVM Instruction 391/03 (by means of the enactment of CVM Instruction 535/13) and kept in the wording of CVM Instruction 578/16 (which revoked CVM Instruction 391/03),35 and had as one of its goals the increase of the participation of FIPs in leveraged buyouts. Finally, it is also worth mentioning the development of equity crowdfunding regulation in Brazil, upon the enactment of CVM Instruction 588/17. The main goal of the equity crowdfunding, by means of online platforms, is to give access to the investors to invest in start-up companies, which still suffer the shortage of resources, especially considering the recent economic crisis in Brazil. Such investment is an important financing instrument for early stage companies and is crucial for enhancing employment and generating income in the Brazilian economy. The main purpose of the recently enacted CVM Instruction 588/17 is to allow companies with annual revenues of up to 10 million Brazilian reais to carry out offerings by means of online platforms of collective financing, without registration of the public offerings. For purposes of protecting the investors, CVM has established as a condition to this type of offering that it occurs by means of online platforms that are submitted to the authorisation process before CVM. It is also important to mention that even before the enactment of CVM Instruction 588/17, the issuance of securities by means of equity crowdfunding in Brazil was already permitted and had been carried out by some start-ups upon the application of CVM Instruction 400/03, which allows the public offering of securities issued by small-sized companies in Brazil (MEs and EPPs)36 to be carried out without registration. Despite the recent enactment of the crowdfunding regulation, crowdfunding is not yet common practice in Brazil mainly because of the economic and political crisis experienced in Brazil over the past years, which makes investors sceptical about taking such risks. The Brazilian Securities Market Law determines that the CVM shall, among other obligations, supervise the issuance and distribution of securities in the market, portfolio management and safekeeping of securities, as well as the services provided by securities consultants and analysts. Since investment fund shares are considered securities for all purposes, they are subject to the provisions of such law. g the number of the FIP’s enrolment with the Brazilian Taxpayer’s Registry (CNPJ). allow for, as the case may be, the compatibility and gradual integration of the Brazilian FIP market with the international private equity and venture capital market. In cases of direct investment, every foreign investor and every Brazilian company in which such investor participates must be registered with the Brazilian Central Bank. Additionally, every inflow or outflow of money arising out of such investment must also be registered, including for transactions involving acquisition or sale of equity interests. It is also worth mentioning that recent amendments to the Brazilian Federal Revenue Rule No. 1634, as of 6 May 2016 (IN 1634/2016), which governs the registration of national and foreign entities with the Federal Taxpayers’ Registry of Legal Entities of the Ministry of Finance, has established the obligation of foreign shareholders of Brazilian entities and also the Brazilian entities39 to provide the Brazilian Federal Revenue with the information on the relevant corporate chain, including trusts and foundations, up to the individuals deemed as their ‘ultimate beneficial owners’, defined, with a few exceptions, as (1) the individual or individuals who either, directly or indirectly, own, control or significantly influence40 the legal entity; or (2) the individual under whose name a given transaction is performed. Such obligation shall be complied with during any update of any data of the Brazilian or foreign entity’s registry before the Brazilian Federal Revenue, or if no update occurs, until 31 December 2018. Such rule also presents some exceptions to the compliance of such obligation, such as the case of (1) a publicly held corporation incorporated in Brazil or in other jurisdiction that requires the public disclosure of all the shareholders considered relevant and that are not located in jurisdiction with a favourable taxation nor under a privileged tax regime; and (2) the Brazilian investment funds that are regulated by the CVM, provided that the Brazilian taxpayers’ number of all the shareholders of the funds are duly informed by the portfolio administrators to the Brazilian Federal Revenue. It is worth mentioning that this is a very recent obligation and even the authorities are still uncertain on their requests for documents and information. assets traded in financial and capital markets that are exempt from taxation, provided that they are negotiated by the funds under the same terms and conditions set forth by law for the enjoyment of the tax exemption. It is possible to argue that dividends paid by the lower-tier company to the FIP and immediately transferred to the investor are exempt from WHT. However, tax authorities have expressed a contrary position and has sought taxation of these dividends as an amortisation or redemption of FIP shares. Companies can distribute profits in the form of either dividends or ‘interest on stockholders’ equity’. Dividends are tax exempt to the beneficiary but cannot be deducted by the company, while interest on stockholders’ equity is tax-deductible by the company but subject to a flat 15 per cent income withholding tax when paid to the beneficiary (not subject to adjustment on the beneficiary’s tax return). 1 If the FIP does not follow the investment requirements established by the CVM, as mentioned above, and at least 67 per cent (Section 11 of recently enacted Provisional Measure No. 806/2017 revoked such requirement which, in our understanding (see below), is expected to be in forced as of 1 January 2019) of its net worth refers to shares, convertible debentures or subscription bonuses (tax law investment requirement), then the applicable tax rates range between 15 and 22.5 per cent. If only those requirements are met (CVM and tax law investment requirements), the tax rate is 15 per cent. If the CVM and tax law investment requirements and also the FIP Requirements are met (please see items a to d above), the tax rate is zero per cent. 3 Since 2017, in case of transactions out of the stock market, progressive tax rates of 15 per cent for gains up to 5 million Brazilian reais, 17.5 per cent for gains above 5 million Brazilian reais and lower than 10 million Brazilian reais, 20 per cent for gains above 10 million Brazilian reais and lower than 30 million Brazilian reais and 22.5 per cent for gains above 30 million Brazilian reais will be applicable (Law 13,259/2016). However, under Provisional Measure No. 806 (MP No. 806/2017), the tax regime mentioned above may be changed. MP No. 806/2017 was enacted on 30 October 2017 by the Executive Branch and introduced substantial changes on the procedures related to applicability of income tax due on certain financial investments and the tax treatment of certain Brazilian investments funds. The Brazilian Federal Tax Authorities (RFB) did not enact any regulation regarding MP No. 806/2017 so far. Provisional measures require urgency to be enacted by the Executive Branch and must be approved by Congress within a period of up to 120 days. During such term, the Provisional Measure shall be converted into law; otherwise it will be no longer be valid. MP No. 806/2017 is still in the Brazilian Congress waiting to be converted in law (its provisions may be changed or others included) or even rejected. Also, if the provisional measure establishes new taxation or increases the income tax due, its conversion in law will only be in force in the next calendar year due to a Constitutional rule46 in this regard. In our opinion (although some provisions seems to refer only to the moment of taxation), even if converted during 2018, the provisions upon conversion into law will only be in force as of 1 January 2019, so the provisions requiring the taxation on such new basis since 2018 are not applicable yet (note, however, that in our analysis below, we kept the dates as determined under MP No. 806/2017). It seems that the rationale of these new rules is to, in case of ‘property funds’ FIP, tax only the FIP and, in case of ‘investment entity’ FIP, tax only the investor, but not both the FIP and the investor. However, that is not so clear in the legislation (i.e., if ‘property funds’ FIPs distributions shall yet be considered as tax-exempted dividends) and we shall wait for changes in the legislation or RFB regulations for further clarification. Also, the earnings from FIPs organised and held exclusively by non-resident investors not located in favourable tax jurisdictions and investing under CMN Resolution 4,373/14 in FIPs that follows FIP Requirements remain subject to the tax exemption rules mentioned above,50 but it is not clear whether a FIP with such non-resident investors but qualified as ‘property funds’ according to CVM regulations will not be actually taxed as a legal entity. In summary, as provided under CVM Instruction Nos. 578/16 and 579/16, FIPs shall be classified as investment entities if the following cumulative requirements are met: (1) the fund has a qualified manager, empowered to take discretionary decisions and not required to appoint quotaholders as representatives of the invested entities; (2) the purpose of the fund is to offer returns through the appreciation of the invested capital; (3) the fund evaluates its investments based on the assets’ fair market values; and (4) the fund’s by-laws establish clear and objective strategies in relation to divestment. Moreover, funds classified as investment entities must also have the following characteristics, but not necessarily all of them: (1) more than one direct or indirect investment; (2) more than one direct or indirect quotaholder; (3) quotaholders with no influence in the management of the invested entities and not related to the fund’s administrators; and (4) invest in entities in which the quotaholders had no previous corporate relationship. Please also note that, as of 1 January 2018, the WHT imposition shall be anticipated when such funds are either transformed, merged or spun-off. However, since MP No. 806/2017 was not converted in law in 2017, its provisions are not yet in force. Therefore, reorganisations of investment structures to be prepared for the new rules may be considered during 2018 as soon as MP 806/2017 is converted into law and RFB regulations enacted. There are certain difficulties in bringing fundraising into Brazil when compared with the existing offshore fundraising possibilities. This is largely due to the slowness and bureaucracy regarding offerings, the difficulty for foreigners to understand the Brazilian tax system and the need for the relaxation of certain rules for the private equity industry. The relaxation of rules begins when the offering is carried out in accordance with CVM Instruction 476/09. As previously mentioned, the CVM has amended this regulation in order to increase the types of securities that it is possible to offer (such as shares and debentures convertible into or exchangeable for shares issued by certain companies), as well as to facilitate access by other companies to this kind of fundraising. Currently, there is a drive in Brazil to increase the funding possibilities for small and medium-sized companies, which typically do not have easy access to the capital markets, making funding more costly. To this end, the CVM has recently enacted the rules applicable to crowdfunding investments for purposes of allowing companies with annual revenues of up to 10 million reais to carry out offerings by means of online platforms of collective financing, without registration of the public offerings. In addition, the CVM has amended CVM Instruction 409/0451 (which was, afterwards, revoked by CVM Instruction 555/14, as mentioned below, and created a new investment vehicle – the stock investment fund – access market (FMA), which is able to participate more easily in the transition of companies from the pre-public offering to the post-public offering stage. Pursuant to the terms of the CVM Instruction 555/14, the FMA shall adopt an investment policy under which at least two-thirds of the net assets are invested in shares of companies listed in an access market securities trading segment of a stock exchange or over-the-counter entity, which guarantee, by means of a contractual relationship, enhanced corporate governance practices. Such CVM Instruction also allows FMAs, when incorporated as closed funds, to invest up to one-third of their net assets in shares, debentures, subscription bonus, or other titles or securities convertible into shares issued by closely held companies, provided that they participate in the decision process of the investee companies, and that such closely held companies adopt some corporate governance practices as established in the CVM Instruction 555/14. Another important amendment to CVM Instruction 409/04 (which was kept by the CVM Instruction 555/14, that replaced CVM Instruction 409/04) has created rules to enable investment in companies with lower liquidity, authorising FMAs,52 when incorporated as closed funds, to repurchase the shares issued by the funds, in the organised markets where the shares are admitted for trading, provided that (1) the repurchase price is lower than the book value of the share as of the day immediately prior to the repurchase, (2) the repurchased shares are cancelled; and (3) the amount of repurchased shares does not supersede, in a period of 12 months, 10 per cent of the total number of shares issued by the fund. Through the above-mentioned amendments, the CVM has created a fund with mechanisms that enable investors to participate in the maturing process of private companies by purchasing their shares when they are private companies and accompanying them during the initial public offering and their first years in the market. As mentioned above, on 17 December 2014, the CVM enacted CVM Instruction 555/14, which has replaced CVM Instruction 409/04 on 1 October 2015, establishing new provisions on the investment funds. Amendments brought about by CVM Instruction 555/14 regard, inter alia, the valorisation of electronic means of communication, modernisation of information disclosure, as well as the relaxation of the limits of investment in certain assets, especially financial foreign assets. e safer rules for investments in foreign assets. As regards item (e), a type of fund exclusively directed to qualified investors is now authorised to invest 100 per cent of its portfolio in foreign assets, provided that some other rules established in CVM Instruction 555/14 are complied with. In addition, with the creation of the simple fund mentioned in item (a) above, the CVM intends to incentivise newer and safer opportunities for local players to invest in investment funds. The main goal of establishing the simple fund is to provide a new vehicle type directed to initial investors and formed by low-risk assets, and whose portfolio managers shall have the duty to protect against volatility. As regards FIPs, it is important to highlight CVM Instruction 578/16, which, as mentioned above, replaced CVM Instruction 391/03, and created new rules concerning the formation, operation and management of FIPs. Among the new rules, it is important to mention the creation of seed capital FIPs and emerging companies FIPs, which are allowed to invest in limited liability companies. The creation of such types of FIPs represents an important step for the development of new investments in Brazil, facilitating the funding of start-ups and early-stage companies. In addition, general FIPs may now invest up to 20 per cent of its portfolio in foreign assets, provided that such foreign assets have the same economic nature of the assets permitted to be invested by the FIPs, and multi-strategy FIPs (exclusively directed to professional investors) may invest up to 100 per cent of their subscribed capital abroad, as long as some other requirements are complied with (as mentioned in Section II.iv, supra). Another important development brought by CVM Instruction 578/16 is that FIPs are now allowed to contract loans directly from entities classified as incentive entities, provided that the amounts are limited to 30 per cent of the FIP assets. Such loans may now also be used for the payment of pending shares subscribed to and not paid for by the shareholders. Furthermore, such CVM Instruction now allows the FIPs exclusively destined to professional investors to have classes of shares with different financial and economic rights (in addition to those rights already established in Article 19, Paragraph 253 of CVM Instruction 578/16). The shares of the same type may also be divided into different categories, with the specific purposes of establishing, for each category, different payment dates and forms of amortisation and compensation. As mentioned above, the possibility of the FIPs granting guarantees (initially brought by the enactment of CVM Instruction 535/13, which amended CVM Instruction 391/03, and kept by CVM Instruction 578/16 that revoked CVM Instruction 391/03) should, in principle, improve access to debt funding by the private equity industry, allowing financing entities such as the National Bank for Economic and Social Development and other development banks to become more involved in the expansion of local industry. As previously mentioned, this would facilitate the use of leveraged buyout mechanisms, however, due to the scenario of economic crisis experienced in Brazil over the past years, Brazilian banks were not demonstrating an appetite to provide financing for leveraged buyouts. On the other hand, in periods of recession, new opportunities may arise and investment banks may gather forces with controlling shareholders or strategic investors to advance this type of transaction. Brazil has recently experienced a period of political and economic crisis, which culminated in the devaluation of the Brazilian real, along with the capital markets slowdown that reduced IPOs, and influenced private equity investors to postpone their exit process. Compared to 2016, which was a year of political instability due to several political scandals, including the president’s impeachment, Brazilian economy seems to be finally starting a slow recovery, as evidenced by the significant volume of capital invested in the private equity sector over the year of 2017. Naturally, because of the presidential elections to be carried out at the end of 2018, the political uncertainty may affect the economic recovery. Nevertheless, we believe that the market is still promising for local and global players, especially considering the relaxation of CVM instructions related to investment funds (i.e., the creation of simple funds, the new rules for FIPs, especially the possibility of investing in limited liability companies), the equity crowdfunding regulation that has been recently enacted by CVM, as well as exchange rates that are favourable to foreign investors and that also create a favourable scenario for exporting Brazilian products. 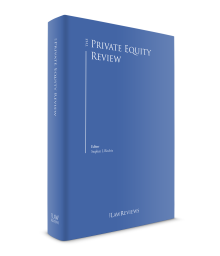 In addition, due to the current lack of financing mechanisms for Brazilian companies, private equity funds have become an important capital-raising alternative for Brazilian companies, which are more open to negotiating their assets. Furthermore, there is still a material demand for investment into several sectors of the economy, including infrastructure, energy, services, technology and the internet, healthcare and medical devices, education and agribusiness, which can provide a favourable scenario for private equity investment. Due to the relaxation of Brazilian regulation of the healthcare system, in particular allowing foreign investment, there has been an increase in private equity fund investments in this sector, especially into hospitals and medical laboratories. In addition, the healthcare system is considered an essential segment, and so, even in periods of economic crisis there is scope for development. Likewise, the innovation of medical devices in Brazil has been attracting the interest of foreign investors. The investment in start-up companies (mainly focused in internet and technology sectors) has also been attracting the interest of foreign investors, especially through alternative fundraising mechanisms such as equity crowdfunding. Finally, in the short term, and unlike private equity historical investments in companies that would benefit from economic growth, the current assets that are expected to catch investors’ interest in the Brazilian market are those relating to companies in difficulty. As an example of such trend, certain Brazilian firms are focusing their attention on the provision of sophisticated restructuring solutions and funding for distressed companies and assets. 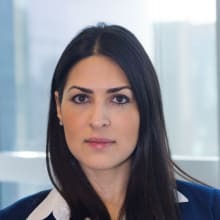 1 Marcus Vinicius Bitencourt and Alex Jorge are partners, Renata Amorim and Marcelo Siqueira are senior associates, and Tatiana Pasqualette is an associate at Campos Mello Advogados. 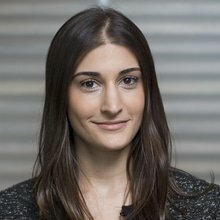 2 Associação Brasileira de Private Equity & Venture Capital. Inside PE 2017. Estudos ABVCAP, 2017. Available at: http://www.abvcap.com.br/Download/Estudos/3810.pdf. Accessed on: 4 January 2018. 3 Conversion from Brazilian reais into US dollars is according to the exchange rate announced by the Brazilian Central Bank on 31 December 2017. 4 Conversion from Brazilian reais into US dollars is according to the exchange rate announced by the Brazilian Central Bank on 31 December 2017. 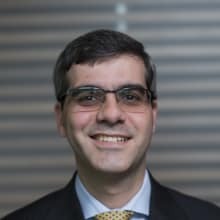 5 Associação Brasileira de Private Equity & Venture Capital. Inside PE 2017. Estudos ABVCAP, 2017. Available at: http://www.abvcap.com.br/Download/Estudos/3810.pdf. Accessed on: 4 January 2018. 9 Available at: https://www.reuters.com/article/us-99-m-a-didi/chinas-didi-chuxing-buys-control-of-brazils-99-ride-hailing-app- idUSKBN1ES0SJ. 11 According to the Relevant Fact disclosed by Algar Telecom S/A in the CVM’s website on 2 January 2018, the transaction is still subject to the fulfillment of certain conditions precedent, including the approval by Brazil’s Antitrust Authority (CADE) and by the Brazilian Telecommunications Agency (ANATEL). Available at: http://siteempresas.bovespa.com.br/consbov/ArquivoComCabecalho.asp?motivo=&protocolo=591937&funcao=visualizar&Site=C. 12 According to information provided by Latin America Private Equity & Venture Capital Association - LAVCA, on 24 January 2017 the transaction was still subject to approval by Brazil’s Antitrust Authority (CADE). The amount of such transaction was not disclosed. Available at: https://lavca.org/2017/01/24/gic-buys-stake-cruzeiro-sul-r500m-em-portugues/. 13 Conversion from Brazilian reais into US dollars is according to the exchange rate announced by the Brazilian Central Bank on 31 December 2017. 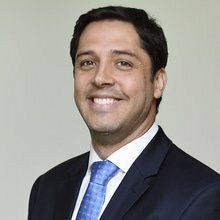 16 Associação Brasileira de Private Equity & Venture Capital. Perspectiva dos investidores sobre Private Equity e Venture Capital 2017. Estudos ABVCAP, 2017. Available at: http://www.abvcap.com.br/Download/Estudos/3619.pdf. Accessed on: 4 January 2018. 17 Associação Brasileira das Entidades dos Mercados Financeiro e de Capitais. Ranking de Gestão de Fundos de Investimento, November 2017. Available at: http://www.anbima.com.br/pt_br/informar/ranking/fundos-de-investimento/gestores.htm. Accessed on: 04 January 2018. 18 Pursuant to the terms of Law 11,727/08, a country is considered to grant a privileged tax regime if it: does not tax income or taxes it at a maximum rate of less than 20 per cent; grants tax benefits to non-resident individuals or legal entities without requiring that a substantial economic activity be carried out in the country and conditional on the non-exercise of a substantial economic activity in the country; does not tax – or taxes at a maximum rate of less than 20 per cent – income earned outside of its territory; or does not allow access to information related to shareholding, ownership of assets or rights or to the economic transactions performed. The standard tax rate of 20 per cent to identify privileged tax regimes is reduced to 17 per cent if the country and its privileged tax regime follows the international standards of tax transparency (Ordinance MF 488/14), as established by the Brazilian Federal Tax Authorities (RFB). 19 An important development brought by CVM Instruction 578/16 is that FIPs can now invest in non-convertible debentures, up to the limit of 33 per cent of the total subscribed capital of the fund, except for Infrastructure FIPs (FIP-IE) and Intensive Economic Production in Research Development and Innovation FIPs (FIP-PD&I), which can invest in debentures that are convertible or non-convertible into shares. 20 Although such CVM Instruction was enacted on 30 August 2016, the FIPs had 12 months counted from the publication of such instruction to adopt the new rules, except, in case of a public offering of shares (registered or not) conducted by existing FIPs after the publication of CVM Instruction 578/16, in which case, the new rules should be immediately adopted. 21 Although such instruction was already in force since 4 January 2016, the securities portfolio administrators that had already obtained their registration with CVM before 4 January 2016 had until 30 June 2016 to comply with the new rules brought by CVM Instruction 558/15. 22 Such CVM Instruction was enacted on 17 November 2017. 23 According to the CVM Instruction 558/15, the portfolio administrator can request the registration in only one or both categories, being also able to request to CVM the change of its category. 24 Such CVM Instruction was enacted on 17 November 2017. 25 The information mentioned in this item (b) shall be sent to CVM based on the fiscal year of the FIP. 26 As regards item (c) above, it is important to mention that the CVM Instruction 578/16 has waived the necessity of provision of the non-audited financial statements on a semi-annual basis, as previously provided on CVM Instruction 391/03 (revoked by CVM Instruction 578/16), and has increased from 120 to 150 days the term for the provision of the audited financial statements. 27 The portfolio administrator registered exclusively in the category of portfolio manager, and exercising its duties in investments funds, does not have to comply with items (d) and (e) above. 28 This limit will be of 100 per cent during the term of allocation of the resources, established in up to six months counted from each event of payment of shares set forth in the instrument of investment commitment. In case the fund supersedes the limit mentioned above (of 35 per cent) due to reasons beyond the control of the portfolio manager, at the end of the respective month and such non-compliance endures until the end of the following month, the FIP’s administrator shall immediately inform CVM about such non-compliance and the related reasons, as well as the expected term for compliance, and inform CVM about the effective compliance, when it occurs. 29 Pursuant to CVM Instruction 480/09, the registration of corporations with CVM may be made within the following categories: category A, which authorises the trading of any securities by the corporation in regulated securities market; or category B, which authorises the trading of securities by the corporation in regulated securities market, except for (a) shares or certificates of share deposits; or (b) securities that grant to its holder the right to acquire the securities mentioned in item (a) as a consequence of its conversion or of the exercise of rights attributed to them, provided that they are issued by the issuer of the securities mentioned in item (a) or by a corporation of the same group of such issuer. 30 According to Article 5 of CVM Instruction 578/16, FIPs shall direct its funds to the purchase of shares, subscription warrants, non-convertible debentures, or other securities convertible into or exchangeable for shares of public or private companies, as well as titles and securities representing equity participation in limited liability companies. 31 CVM Instruction 578/16, which has created the Emerging Companies FIPs, has revoked CVM Instruction 209/94, which used to set forth the provisions for the establishment and development of the Mutual Fund for Investment in Emerging Companies (FMIEE). This fund was created in 1994 with the main purpose of investing in private corporations that had annual gross revenue up to 150 million Brazilian reais, as accrued in the fiscal year ended prior to the first payment of the fund. Another difference of the FMIEEs if compared with the FIPs for emerging companies, is that they did not have to comply with the same corporate governance requirements as currently established for the emerging companies FIPs. According to the CVM Instruction 578/16, the FMIEEs should have a term of (1) 12 months counted from the publication of such instruction; or (2) immediately, in case the existing FMIEEs conduct a public offering of shares (registered or not) after the publication of CVM Instruction 578/16, to be adapted to the rules of emerging companies FIPs. 32 Pursuant to CVM Instruction 554, enacted by the CVM on 17 December 2014, which came into force on 1 October 2015, qualified investors are: professional investors; individuals or legal entities that hold financial investments in an amount greater than 1 million reais and that furthermore attest in writing their qualified-investor status according to a specific instrument; individuals that have been approved in technical qualification tests or hold certifications approved by the CVM as requirements for their registration as independent investment agents, portfolio administrators, analysts and securities consultants, in relation to their own resources; and investment clubs, provided that they have the portfolio managed by one or more shareholders who are qualified investors. In addition to the new concept of qualified investors, CVM Instruction 554/14 has also created a definition of professional investors, considered as those investors that are: financial institutions and other institutions authorised to function by the Central Bank of Brazil; insurance companies and capitalisation companies; closed or open pension plans entities; individuals or legal entities that hold financial investments in an amount greater than 10 million reais and that furthermore attest in writing their professional-investor status according to a specific instrument; investment funds; investment clubs, provided that they have their portfolio managed by portfolio administrators authorised by the CVM; independent investment agents, portfolio administrators, analysts and securities consultants authorised by the CVM, in relation to their own resources; and non-resident investors. 33 Article 19 of Law 6,385/76 sets forth that ‘no public securities offering shall be distributed in the market without prior registry with the CVM’. 34 Upon the enactment of CVM Instruction 551, as of 25 September 2014, the limitation of the number of qualified investors that can be pursued was increased from 50 to 75 qualified investors, and the maximum number of securities that can be acquired by qualified investors was increased from 20 to 50. Upon the enactment of CVM Instruction 554/14, the reference to ‘qualified investors’ in Articles 3, I and II of CVM Instruction 476/09 was replaced by ‘professional investors’. 35 CVM Instruction 578/16 kept the wording of CVM Instruction 391/03 related to the possibility of granting guarantees by the FIPs, upon the approval of the shareholders’ meeting, and included in rem guarantees (collaterals) in the list of guarantees. 36 According to the Brazilian Law LC No. 123/06, as recently amended by the Brazilian Law LC No. 155/16, an ME (microempresa) is considered a company (under the types established in such law or a businessperson) which has in each fiscal year, a gross revenue equal to or lower than 360,000 Brazilian reais, and an EPP (empresa de pequeno porte) is considered a company (under the types established in such law or a businessperson) that has a gross revenue greater than 360,000 Brazilian reais and equal to or lower than 4.8 million Brazilian reais in each fiscal year. In addition, the Brazilian Law No. 155/16 has created the possibility of ‘angel investors’ whether individuals or legal entities, to invest in MEs and EPPs for purposes of enhancing innovation and productive investments without having to hold equity in such companies or being liable for any of the company’s debts or insolvencies. In addition, angel investors shall not have any voting right nor influence on the company’s management. The funds granted by the angel investors to such companies shall not be considered as part of the companies’ capital and the angel investors shall be compensated for the investments made, according to the terms of the investment agreement, during a term of up to five years, provided that such compensation shall not be greater than 50 per cent of the profits of the MEs or EPPs. 38 Pursuant to Article 1 of CMN Resolution 4,373/14, the provision mentioned aims to determine the guidelines for application of external resources entering Brazil by non-resident investors in the financial and capital markets, and the transfer of funds from and to abroad, in national or foreign currency. According to Article 5, I of such Resolution, non-resident individual or collective investors are defined as individuals or legal entities, funds or other collective investment entities resident, domiciled or headquartered abroad. 39 This obligation was also applied to the Brazilian entities by means of the enactment of the Declaratory Executive COCAD Act No. 9, as of 23 October 2017, issued by the Brazilian Federal Revenue. 40 Pursuant to Article 8º §2º of the Brazilian Federal Revenue Rule No. 1634, as of 6 May 2016 a significant control or influence is presumed whenever the individual (1) holds, directly or indirectly, more than 25 per cent of the entity’s corporate capital, or (2) holds, directly or indirectly, the power to control the entity’s corporate decisions and to appoint the majority of its managers. 41 Brazilian law defines more than one concept of favourable tax jurisdiction. However, the concept that matters for this particular analysis refers to foreign investments in the Brazilian financial and capital markets pursuant to CMN Resolution 4,373/14. Accordingly, the applicable concept of favourable tax jurisdiction refers to a country that does not tax income or that taxes income at a rate lower than 20 per cent or does not provide information regarding the equity partners of legal entities, its owners or the beneficial owner of the income paid to non-residents. The standard tax rate of 20 per cent to identify privileged tax regimes is reduced to 17 per cent if the country follows the international standards of tax transparency (Ordinance MF 488/14), as established by the RFB. The Brazilian tax authorities have listed some jurisdictions as favourable tax jurisdictions. Historically the tax authorities have viewed such list as being a numerus clausus list, namely, any jurisdiction not appearing on the list will not be deemed as a favourable tax jurisdiction. Ireland was the last inclusion in the end of 2016. 42 Such 40 per cent ceiling considers the following related parties of the investor of the FIP: (a) regarding individuals, (1) its relatives up to the second degree, (2) company controlled by the investor or by any of its relatives up to the second degree and (3) partners or managers of the company controlled by the investor or its relatives up to the second degree; and (b) regarding legal entities, the one which is its controller, controlled or affiliated. 43 Based on the literal wording of the law, one could conclude that the 40 per cent test for fulfilling the FIP Requirements is to be observed solely by the direct investors of the FIP, and not by their shareholders, partners or members (except where such shareholders, partners or members are also direct investors of the FIP), and that there is no need to account for any indirect interests. However, any analysis of the shareholding test and the economic test may be controversial, and one should consider an indirect approach and a ‘substance over form’ analysis. The rationale is to avoid using related parties (close individuals and group companies) to circumvent the ceiling of not having 40 per cent or more quotas of the FIP. 44 Section 11 of recently enacted Provisional Measure No. 806/2017 revoked such requirement, which, in our understanding (see below), is expected to be in force as of 1 January 2019. 45 If the fund regulations restrict its quotaholders to non-resident individuals only, the fund is also allowed to invest in assets whose gains will be exempt from individual income tax under Section 3 of Law 11,033/2004 (e.g., certificates of real estate receivables (CRIs), real estate investment funds (FIIs)). 46 Section 62, § 2 of Brazilian Constitution. 47 Sections 5, VI and 7 of MP No. 806/2017 and Section 2, § 6, 7 and 8 of Law No. 11.312/06. 48 Corporate income tax (IRPJ/CSLL) and social contributions on gross revenues (PIS/COFINS) will be due by such FIP. 49 Sections 5, VII and 8 and 9 of MP No. 806/2017. 50 Section 5, IV of MP No. 806/2017. 51 Such amendments were made by the enactment of CVM Instruction 549 as of 24 June 2014. 52 The provisions related to the FMA mentioned herein have remained in force under CVM Instruction 555/14, which came into force on 1 October 2015. 53 According to Article 19, Paragraph 2 of CVM Instruction 578/16, the FIP’s by-laws may establish different financial and economic rights to one or more classes of shares exclusively in relation to (1) the establishment of administration and portfolio management fees; and (2) the priority in relation to the payment of revenues, amortisation or liquidation balance of the fund.